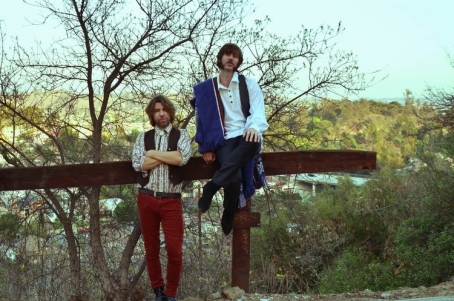 Cashew & Cleary is the project of Eric "Cashew" Harding and Patrick Cleary, a songwriting duo inspired by a wide array of sixties psychedelia in the vein of the Paisley Underground and British folk. The Echo Park reisdents are both veterans in the LA music scene, having played with acts like Eagle Winged palace and the Digs, and it shows - the lead single off their latest EP Husbands, "When Smiling CC Frowns", is an elegant baroque pop number that incorporates an artful composition of strings and a familiar, yet still evocative jangly melody. Husbands is the first in a series of forthcoming EPs, which promises to extend their leanings into sunshine pop even further. A cassette version of Husbands is currently being distributed via Burger Records.